Who would you have on your board this Christmas? We are blessed with some fantastic local cheeses that all compliment each other on the cheese board so that you can have a distinct array of outstanding cheeses from Sussex and Hampshire alone, although we do have other great British cheeses as well. The Isle of Wight Blue won best English cheese at the 2007 World cheese Awards. It is a naturally rinded soft blue cheese that is made with pasteurised Guernsey cows’ milk from the herd that graze around the Queen Bower Dairy. It is blue veined and is sold at 3-5 weeks of age. We also sell the Isle of Wight Soft. Next we turn to Lyburn Farmhouse for their range of cheeses. The Winchester is described as being between a Gouda and a cheddar with an element of creaminess to it with a subtle nuttiness in flavour, with a little scrunch closer to the rind. The Old Winchester is drier and harder, with the crystaline bite that you associate with parmesan. Both are delicious. From the same cheesemaker comes Stoney Cross, similar to a French Tomme de Savoie: Creamy, buttery in texture, sweet flavours, with a distinctly earthy finish. We also stock plenty of cheeses from further afield, with Colston Basett Stilton, mature Quickes Cheddar Truckles as well as Westcombe cheddar and the classic Vacherin Mont d’or which is now in season. 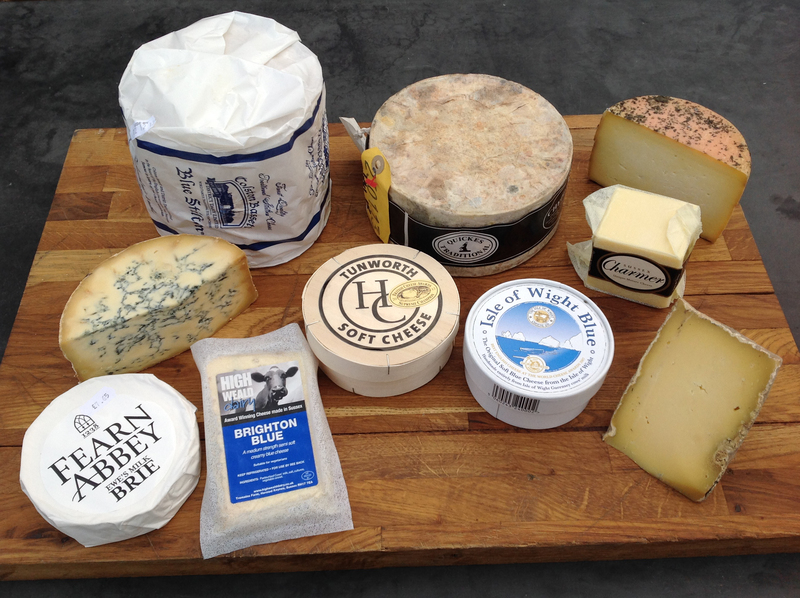 If there are any other cheeses that you particularly like, then we can get hold of it for you. Just call and ask.